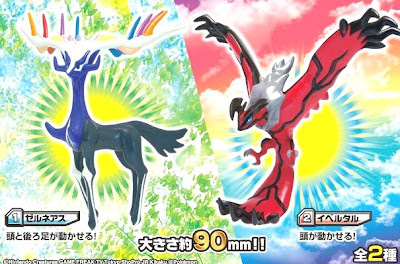 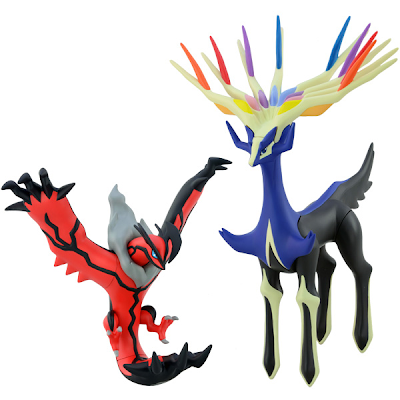 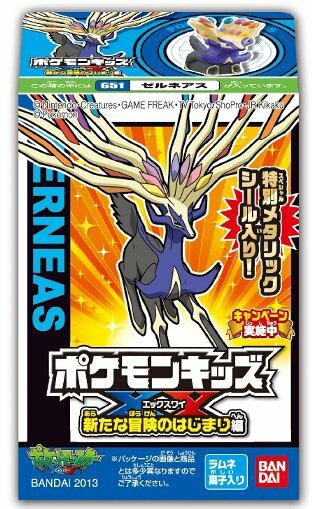 Tomy will release the following Pokemon soft vinyl figure Yveltal Xerneas Set on 12 October 2013. 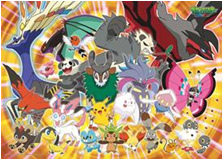 Upcoming Pokemon Kids XY1 final pic (black-and-white) is tweeting. 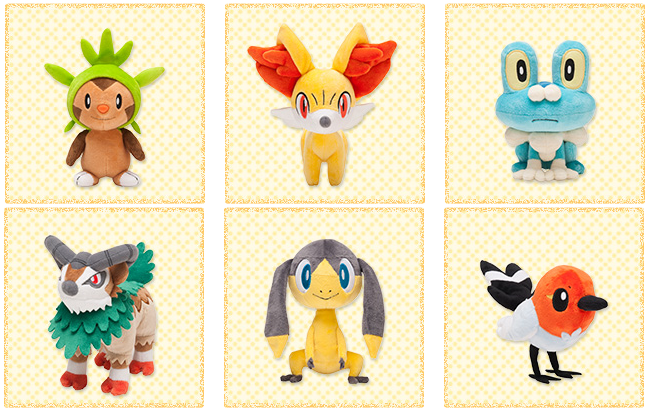 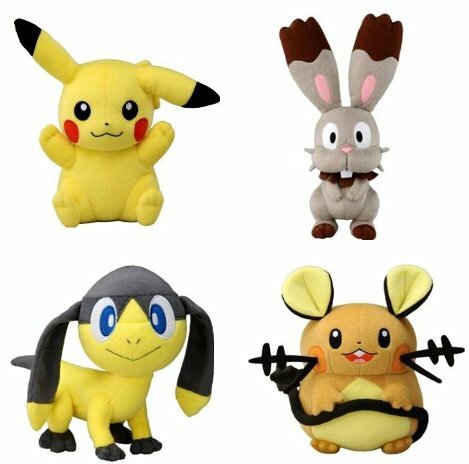 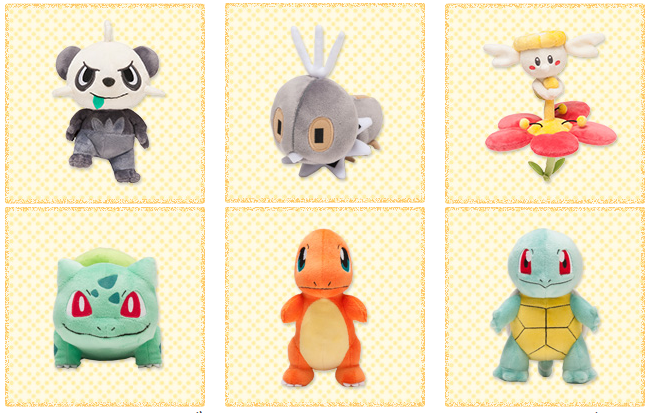 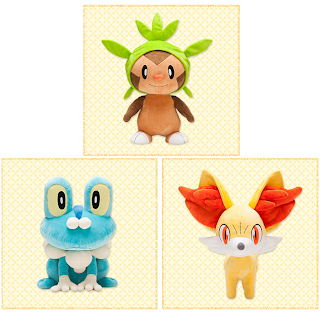 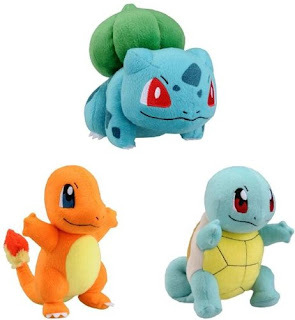 PokeCenJP will release the following plush on 12 October 2013. 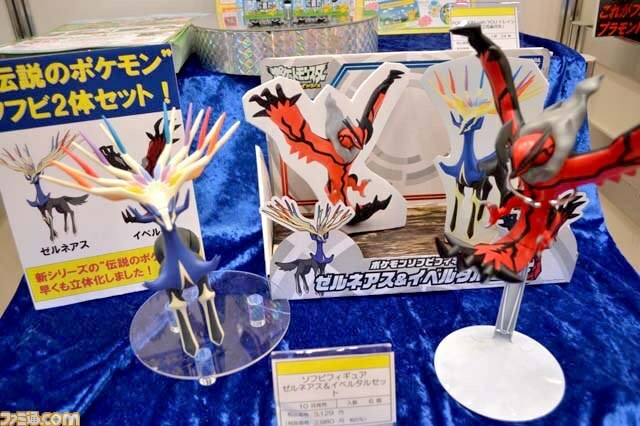 The Pokemon Company International's facebook site announces that new Pokemon Doublade today. 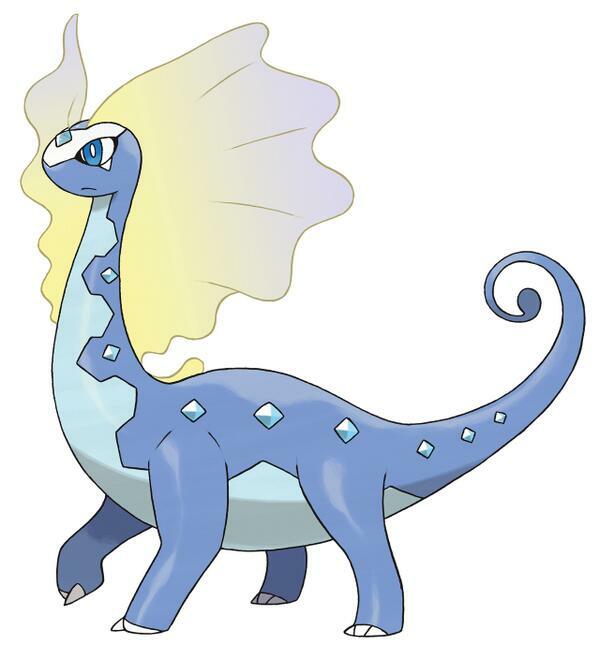 It's Honedge's evolution, Steel/Ghost-type, the ability No Guard. Japanese name not announced yet is 'ニダンギル'. 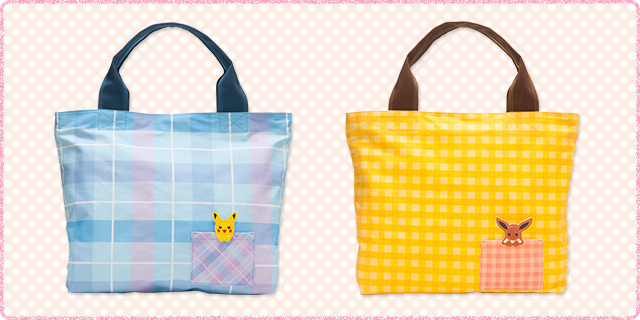 [ Reposting ] Added the images and edit the contents. Tomy will release the following figures on 12 October 2013, worldwide release. 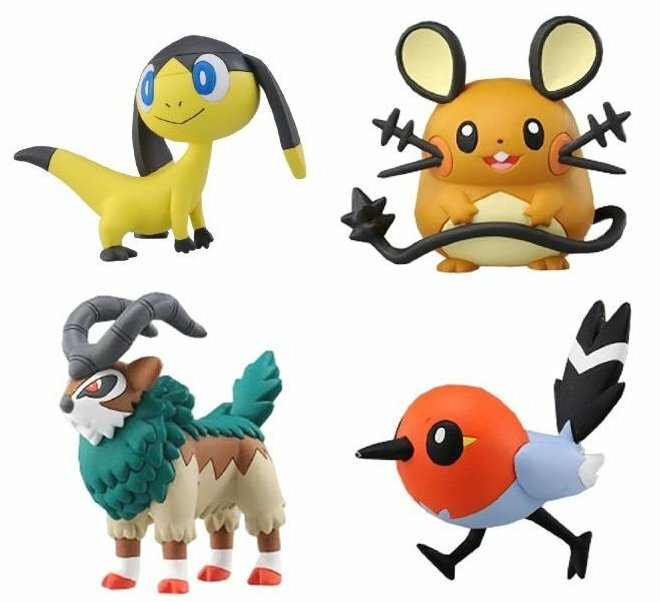 Actually some retail stores already begun to sell these, some retailers will sell on 1 October. Thank you for the info to Pkmncollectors@LJ and @Oceanuis. 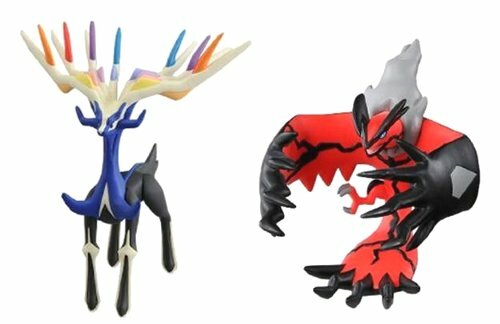 Pokemon XY Puzle (Ensky) and Why Manectric and Croagunk ? 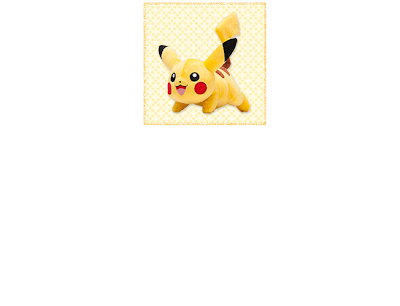 Ensky will release the followingjigsaw puzle in October 2013. 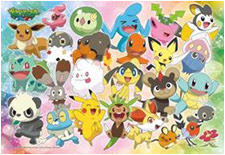 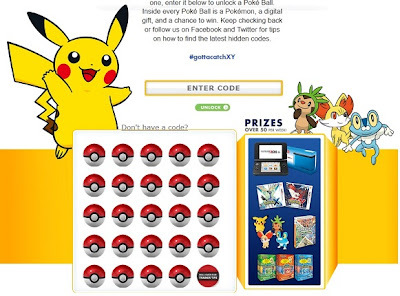 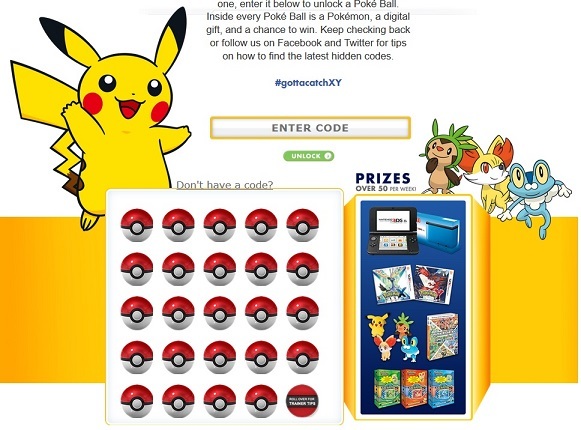 In the last image, do you realize that Eeveelutions, Gardevoir, Manectric and Croagunk are included. 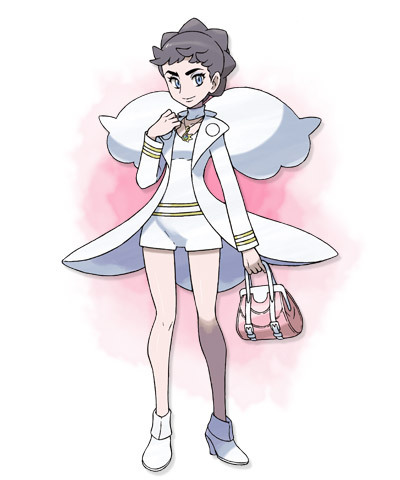 We've already known Sylveon and Gardevoir have Fairy Type. However why Manectric and Croagunk are included, something special or will be Mega Pokemon ? 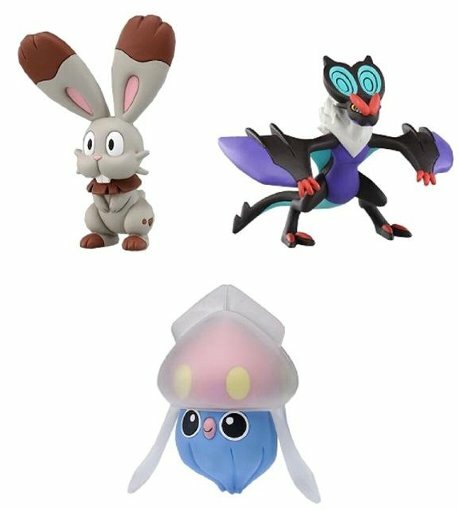 The following new Pokemon have been revealed from JeuxVideo and IGN respectively. 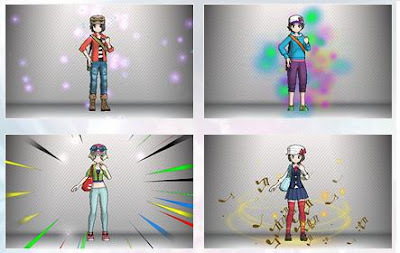 Also some details XY game info out from Polygon. 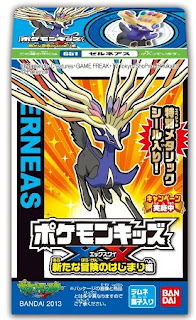 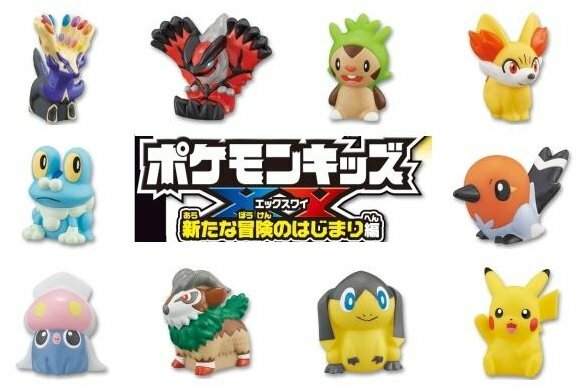 According to interview, Kalos new Pokemon will NOT have a Mega Evolution in Pokemon X and Y, only previous Pokemon gen 1 to 5 have Mega Evolution..
Nintendo eShopJP releases the following new XY CM and trailer. Thanks for the sharing video to NintenDaanNC. 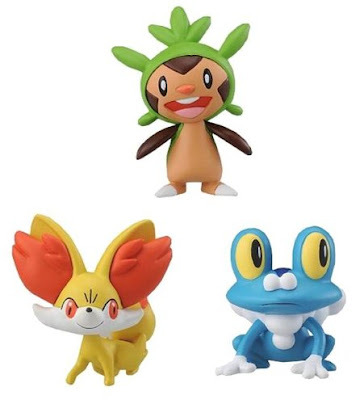 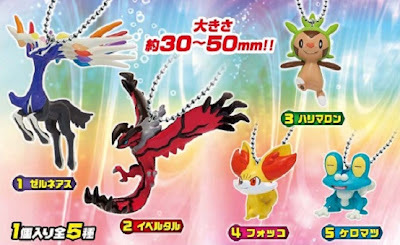 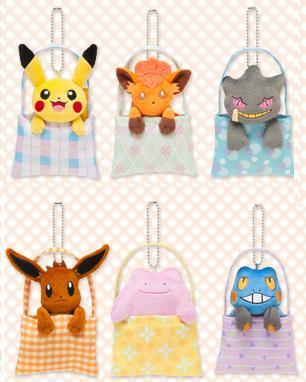 Takara Tomy ARTS will release the following candy toys called Pokemon Mascot Key Chains XY on 14 October 2014. 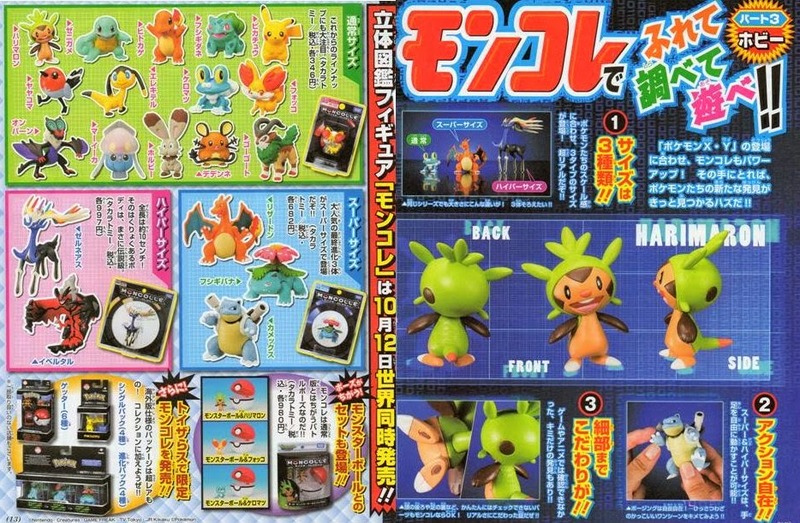 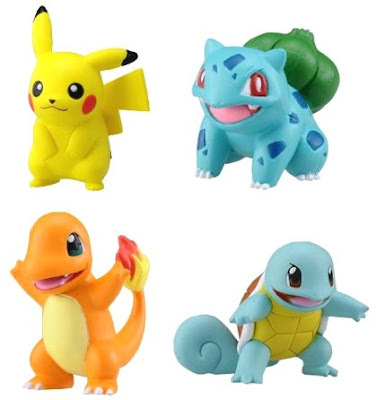 Takara Tomy ARTS (TTA) will release the following candy toys Pokemon Pose Figure XY on 21 October 2013. 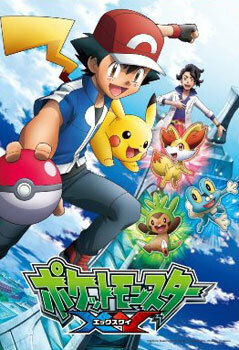 TV show Pokemon Smash aired Pokemon Anime New Trailer and XY Mega Mewtwo showcase on last Sunday. BWT, The program will finish on 29 September, new show called 'Pokemon Get☆TV' will begin on 6 October 2013. 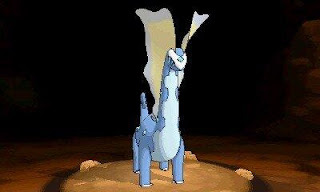 Thank you for the sharing video to PLDH.net. Tomy will release the following plush on 12 October 2013. 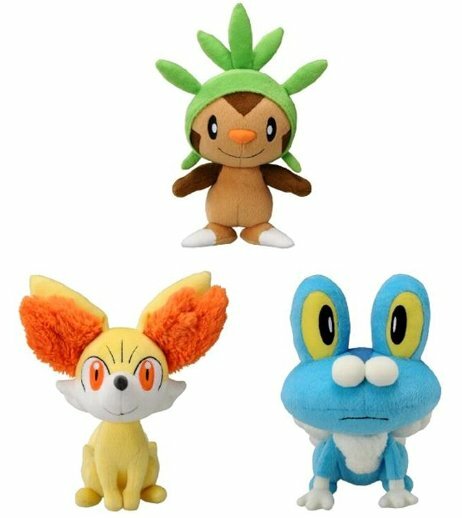 Size is bit bigger than previous plush (height 13cm-15cm). 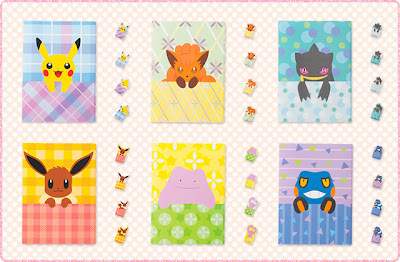 "My Pokemon Collection : Meowt, Wobbuffet, Pancham, Inkay, New Pokemon"
Do you think it's Litleo ? ==> Confirmed it's Litleo on 11 October 2013. 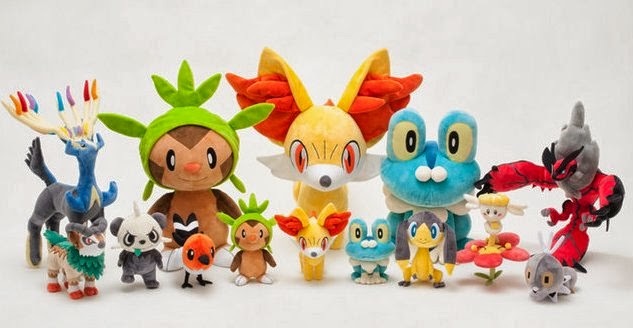 Please see this article. 4 Oct 2013 : It's Litleo. 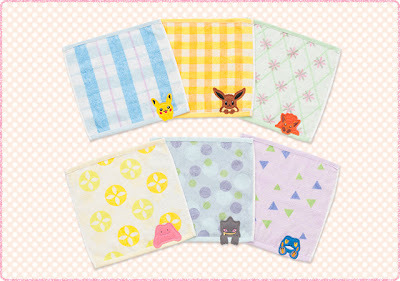 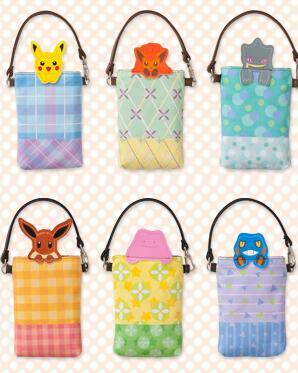 PokeCenJP launches Pokemon Local Flavors (ご当地) Merchandise official page. 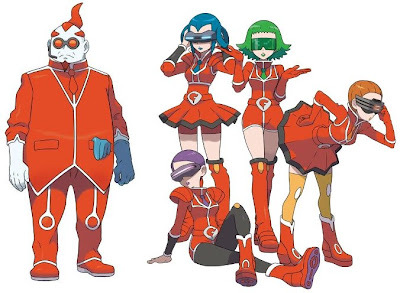 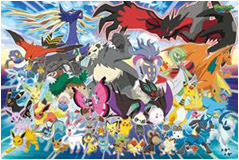 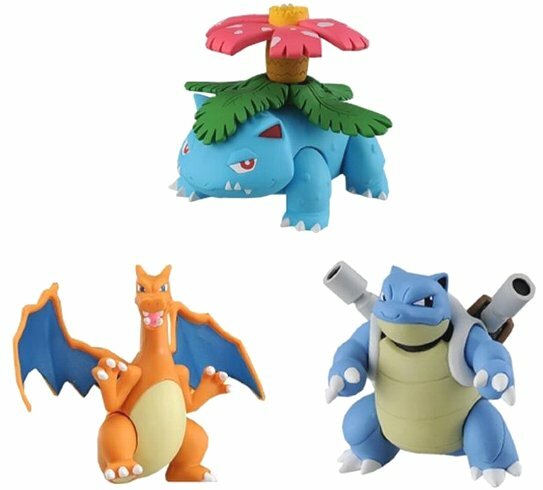 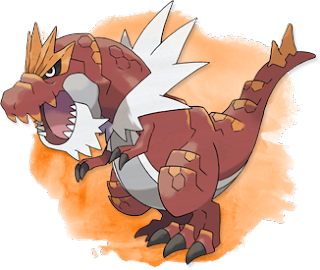 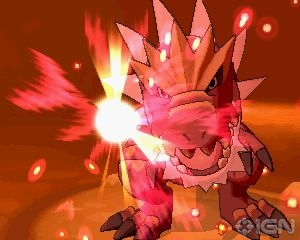 Pokemon English site updates, introduce new footage and new Pokemon official arts and English name. Grass-type Pokemon are immune to Leech Seed and powder and spore moves.